flowBubbles screensaver designed as vista bubbles screensaver but has more powerful functions. It is a advanced version of vista bubbles screensaver. Transparent 3D bubbles screensaver. You can select bubbles shape of soap bubbles, heart bubbles, glass frame. This bubbles screensaver can change background picture. You can use the default image, desktop image or select a picture as background. Place your photos into bubbles. Can defines how many bubbles will disappear when flow bubbles screensaver run. Can change the radius size of the bubbles. Set different size of each bubble. The sound effect. the sound is play when bubbles crash together. slide backgrounds with flowing bubbles. one of the best gifts you find for parents and children. pblCompare is a special tool for visual PowerBuilder Library File comparison. 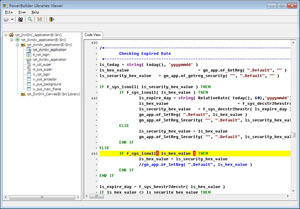 It has a number of simple and convenient features to compare powerbuilder libraries files that many users have been asking for a long time from a PowerBuilder source code comparison tool. Use pblcompare, it is easy and fast to show difference of Powerbuilder script, source code of Powerbuilder library files. It can compare files within different powerbuilder versions. Use pblcompare, it also can compare two text file certainly. Use as a management tool to check all the changes to an application before a new release. Find out what and why the changes you just made broke the application! pblCompare does not modify PBL's in any way. It's a viewer only. Safe for using. PowerBuilder is NOT required. pblCompare does not use PowerBuilder API to read PBL format. This is mean pblcompare can open all version of PowerBuilder library files and compare difference in souce code within them. 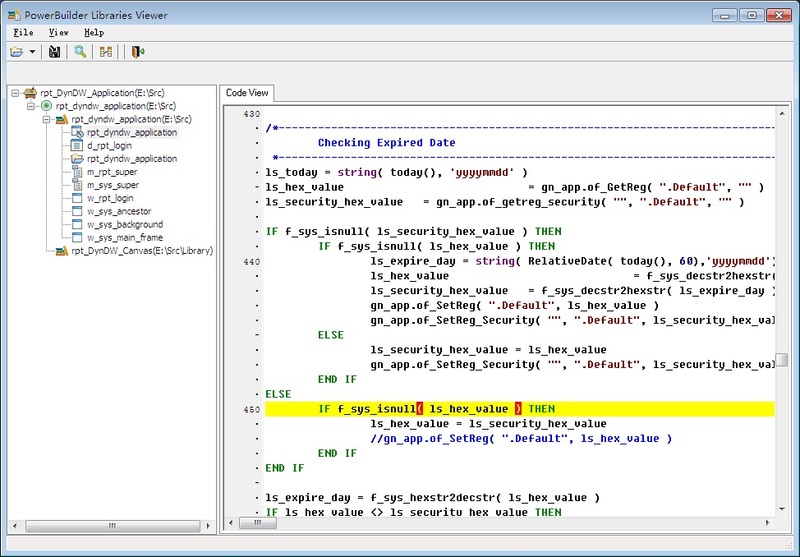 compare PowerBuilder scripts with very fast speed. Fixed bug which icon (+ -) in lib view and obj view not correct to show difference for powerbuilder library files. command line parameters support input ".sr?" source text file. Add two pictures to show difference with powerbuilder object items. Fixed a bug. If a difference exists the last line of source, it will cause "List index out of bounds(?)" Add progress window and "Cancel" button to stop the comparing thread. Fixed a bug. When checked "Ignore Blank Lines", if the difference first line is blank, the comparition for PowerBuilder didn't display the difference. Add "Refresh" function, press refresh button to compare again, don't have to reload files to see difference changed. Add command line parameters "pblcompare.exe filename1.pbl filename2.pbl", you can compare two library files use command line. You can also add pblcompare as a compare tool in TFS(Visual Studio Team Foundation Server) if you use it as your Powerbuilder source code manager in team development. So you can easy to know difference between files in server and files in local. Fixed a bug of "Save result..." Menu function. It can save result of PowerBuilder source code diffrence into a report file. Fixed a bug of "list index out range" in open PowerBuilder Object. Add popup menu to objs view to compare PowerBuilder objs in same library file. or compare objects with different name with each other. 1. Select and Open Powerbuilder library files in left and right, it fast show difference of Powerbuilder libraries. 2. Double click row who show difference, Objects with difference in library will list. 3. Double click object, it will show script of object frame, you will see what difference between two copy of Powerbuilder files. pblview --Powerbuilder library files viewer, pbl files explorer, Free use. 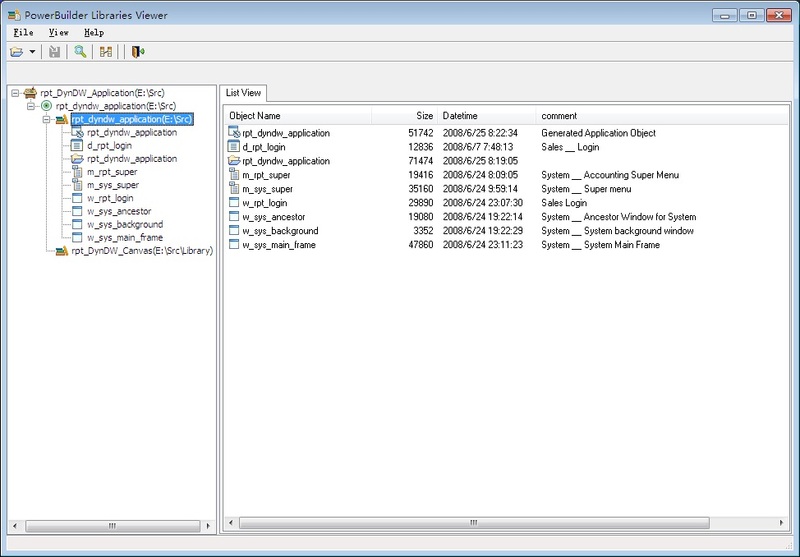 pblview is a free tool for visual PowerBuilder Library File view and explorer. 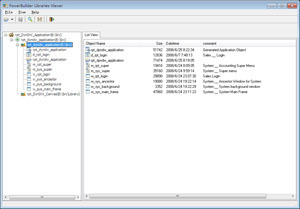 One soft can open every powerbuilder version's library files and list all objects in tree view, you can select object to see source code details. Copyright (C) 2007-2019 pblSoft software, all rights reserved.